What is a short nap? 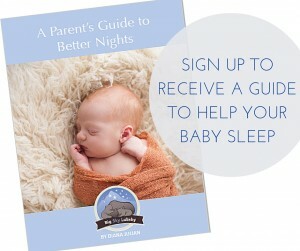 When a child turns 16 weeks, their sleep needs are different than that of a newborn. Now, sleep can be scheduled and a regular bedtime routine should be well established. Figuring out your child’s sleep patterns is half the battle; the other half is coordinating them into a schedule. Many of my clients will tell me that their child takes 30-35 minute naps, on the dot! This is very common and is occurring because that is the duration of the first sleep cycle. Children who are waking after just a half hour, have not yet learned how to transition to the next sleep phase without waking. When do I need to be concerned about short naps? Newborns nap throughout the day and the only time frame we use to decide when we will put them to sleep is their wake period in-between naps. Other than that, a newborn is not ready for a strict schedule to be enforced. It is very common for newborns to take several short naps throughout the day. Once we hit 16 weeks, (if you child was born early, this needs to be adjusted) we will try to lengthen these naps until they provide full restoration. How do I get my baby’s naps to lengthen? A 60 minute nap is fully restorative; this is why we implement the “one hour rule.” The terms of this “rule” are simple; keep your baby in their crib for the full hour even if they wake beforehand. There are two ways this can be done. The other option is to go back in quickly and try to soothe them back to sleep. How do I know if the nap has been restorative? The first thing to determine is that the nap was at least an hour long. If so, chances are your child had a restorative nap. Next, you can tell by the mood your child is in when they wake. If they wake happy, this is a good sign pointing toward an adequate and healthy nap. If they wake upset, their nap was probably not long enough. Restorative naps are an essential part of establishing a healthy sleep schedule. The morning nap provides mental restoration and the afternoon nap provides physical restoration. The reason naps are so tricky and a solid nap schedule takes so long to establish is because the drive to sleep is less during the day now that they are no longer a newborn. The hormones that tell their bodies to sleep are now being disbursed at nighttime instead of sporadically throughout a 24-hour period. Always remember that naps are an essential part of the sleeping puzzle, if they are not fully restorative they will cause night waking’s, mood fluctuations, early rising.. And the list goes on! !